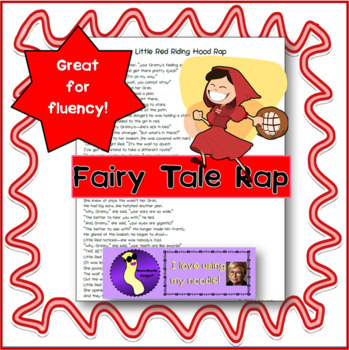 This is the story of Little Red Riding Hood but written as a rap. It would be a great supplement to a poetry or fairy tale unit, to build fluency, or just for fun! Also take a look at my Three Pigs Rap and Gingerbread Boy Rap.These two raps along with Little Red Riding Hood Rap can be purchased in a bundle. Little Red Riding Hood Rap Poem Fairy Tale by Denise Edwards is licensed under a Creative Commons Attribution-NonCommercial-NoDerivs 3.0 Unported License.